As Nigerians celebrate Christmas and new year, Kaduna State branch office of National Agency for Food and Drugs Administration Control (NAFDAC) has continued its aggressive mop-up on the banned foreign and fake fruit juices in kaduna markets. The essence of the exercise according to the State Coordinator of the agency, Natim Mullah-Dadi was to, safeguard the health of the general public and ensured healthy environment because the products are unregistered and are used by unsuspecting residents while the sellers are smilking to bank. The Coordinator said, the exercise was a part of activities on the federal government’s import prohibition list with emphasis on supermarkets and the state central market who are bent on illegal and unhealthy sales at the detriment of millions of Nigerian. He said, “there is an import prohibition list that bans the importation of fruit in retail pack into the country and kaduna state is inclusive. All fruit juices in retail pack are banned and people should avoid buying them because when you engage in selling such products, they are not made in the country and people do not have adequate knowledge about what the product is all about. “All juices in retail packed must be done away with in all supermarkets and central markets so that we can save lives. “We are mopping out all the foreign fruit juice in the markets so as to encourage our manufacturers here in the country and to also create job for our youths. He said all products that are banned cannot be sold in the country because they do not have the Agency’s registration number which must have obtained after critical laboratory test. 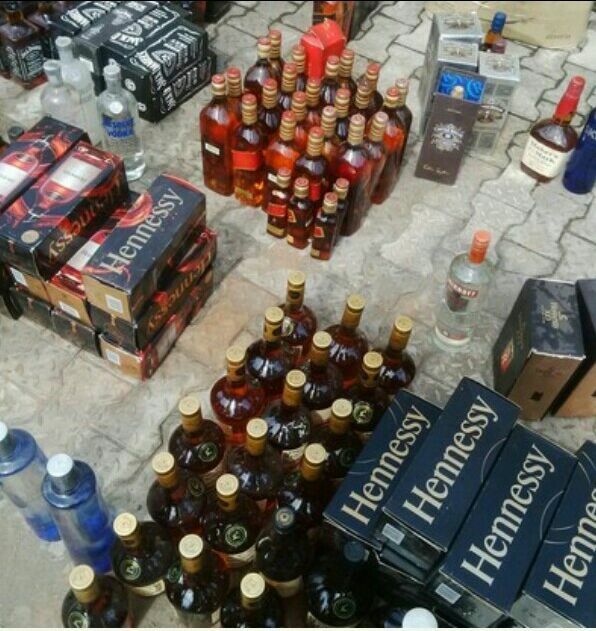 He then advised the general public to always check manufacturing and expiration dates and NAFDAC registration number of product before consumption and report any suspicion at nearby NAFDAC office, saying such will be treated with utmost confidentiality. “We have always communicated to the sellers that before you sell any product, make sure such product has NAFDAC registration number and also the buyers must do same”. Dadi added that with the activities, the agency will continue to sensitise the sellers of such products until there is total compliance, “we will continue the mop up exercise and use it as avenue to sensitise the sellers of these products. “We shall also organise a re-awareness workshop for all supermarkets and retail owners around kaduna State to enable them see reasons on products that are banned and why they should not be on sale. Recall that the agency has been raising alarm over adulterated drinks across the country with particular reference to banned imported once.